Now that MySQL 8.0.3 RC1 is installed and that we saw how to verify the workload, it’s time to see if we can optimize some of the queries. As explained before, rewriting queries when using a product like WordPress is complicated but maybe we can do something for the indexes ? Hummm… so here we can definitely see that this is a full table scan (type: ALL) and it scans 1551 rows. counter you don’t really want to see with a high value. So indeed in our case we perform a full table scan. For this particular easy query, this is not important but that can be useful. Particularly when you know that you can influence on the cost model. It’s then clear that we could benefit from an index here (and maybe reduce the size of the field, but I won’t modify table structures for now). 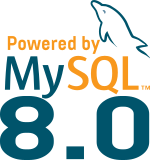 This post now concludes the migration to MySQL 8.0 for WordPress series and I hope this article will help you finding which queries need to be optimized ! Instead of using Handler status variables, I suggest checking the table_io_waits_summary_by_index_usage table in Performance Schema. Then you will get the number of accesses per table/index. Particularly useful for queries that access multiple tables since handler status variables will only show total numbers for query. Another advantage is that you do not need to remember what those cryptic variables names mean. Also, using the performance_schema table is good to have an overview, but how do you manage that specific query only ? Given that the performance_schema capacity is limited, I still prefer the slow query log when searching for “expensive” statements. So the alternative is to use Percona’s “pt-query-digest”, and it gives the bonus of its overall statistics, so the user can easily see the statement efforts in perspective. PFS can be extended and you can even consune it and add it into a table or (what I like to do) send it into ES for example. But of course I really like pt-query-digest but it works very well when you enable the extra information available in PS in the slow query log. About the bug, I’m checking in out internal system and I see it has been marked as duplicate of a fixed bug in 8.0.1 and 5.7.18 already but I need to double check.